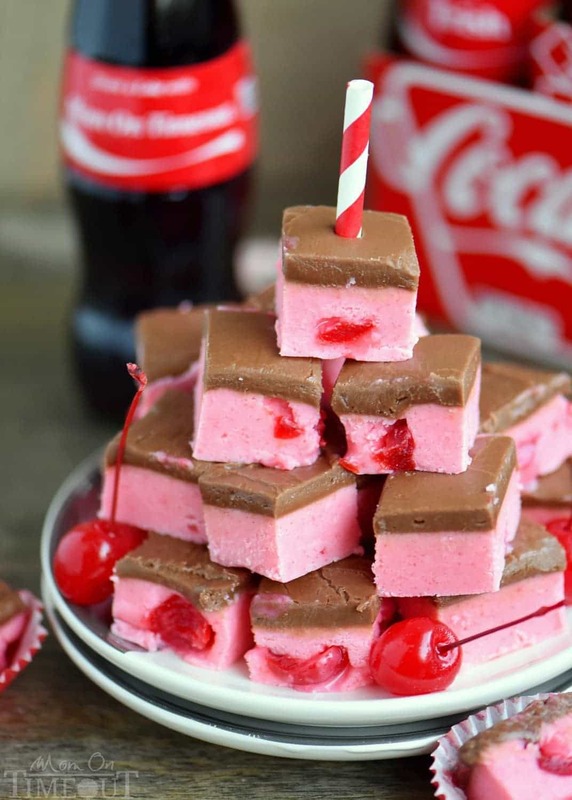 Because we can… Cherry Coke Fudge! A decadent cherry fudge topped with a Coca-Cola chocolate frosting! 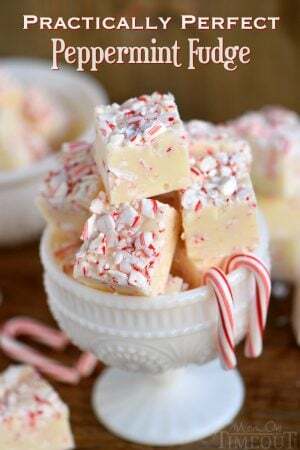 This irresistible fudge is sure to be a hit this holiday season! The holiday season is upon us and before we know it, it’ll come to an end. With two young boys that are rapidly growing up, every single holiday season is so important to me. I try to relish each and every moment, capture as many pictures as possible, and enjoy the time I have with them when Christmas is just so magical. One of the ways we enjoy the holidays is by making treats together. We don’t eat them all ourselves, of course not! Half the fun is handing them out to friends and family so they can enjoy them too. 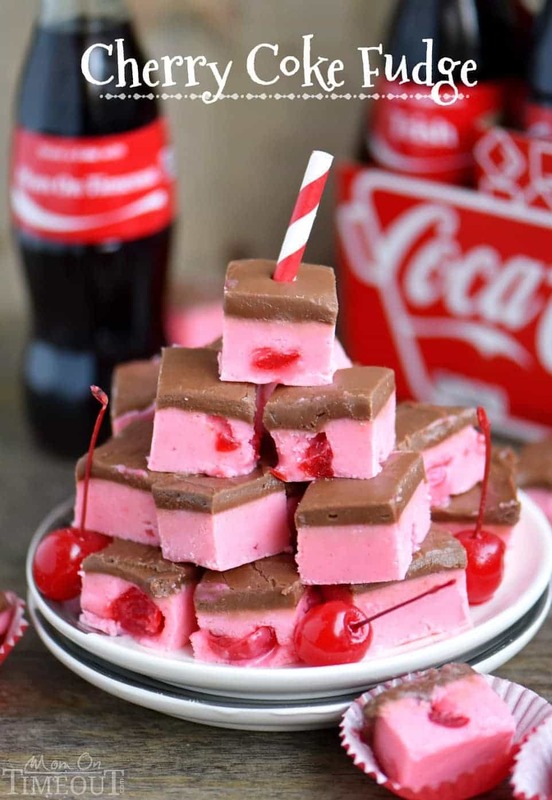 Today I’m sharing this Cherry Coke Fudge in honor of one of my dear friends who inspires me each and every day. Let me tell you about Ann. She’s the hardest working person I know. She’s a mom, a nurse, a friend, a daughter, a wife, and so much more. Her schedule is NUTS. Nuts I tell you! I’ll see her in the morning and she’ll have just got off her hospital shift a few hours before and amazingly, shockingly, manages to have a smile on her face and a kind word for me. Oh yeah, I forgot to mention she’s hilarious. She’s always there to listen to me complain about the little things and to offer support. She lets me bounce recipe ideas off of her and is somewhat of a genius in coming up with recipes for me to share with you all. She makes it to her daughter’s swim meets in spite of only getting a few hours of sleep the night before. She takes care of her mom who just had back surgery and drives an hour to work each way. She does it ALL… and somehow manages not to make me feel like the laziest person alive. You guys, she does all this… with a smile. There’s a lot more I could say but I’m sure I’ve embarrassed her enough with just this. She’s my hero, and she deserves the very best. I have a special treat for Ann this week and I know she’s going to love it. You guys. 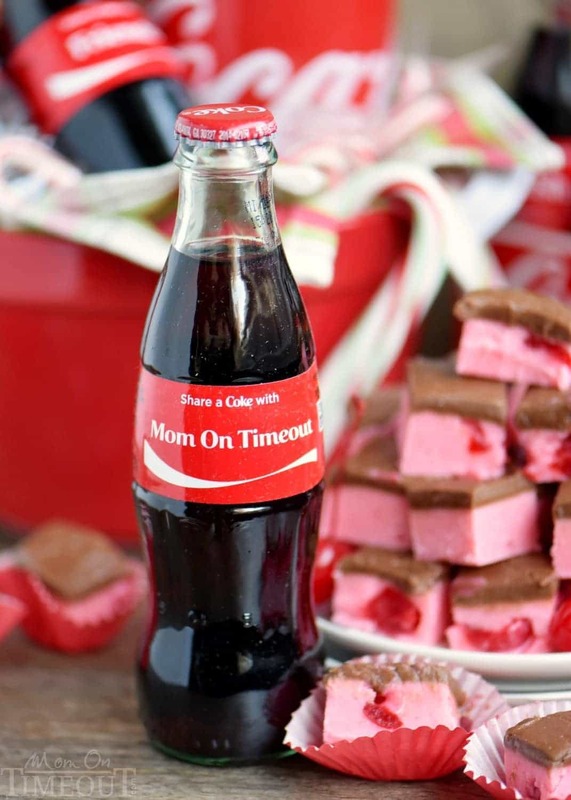 I am IN LOVE with these personalized Coca-Cola bottles! I ordered THREE separate times because I kept thinking of names and different words I wanted on the bottles. I ordered one for everyone in my family and I’m going to put the bottles in our Christmas stockings this year – so fun! Got a six pack of these babies sitting on my desk right now. Loving it! 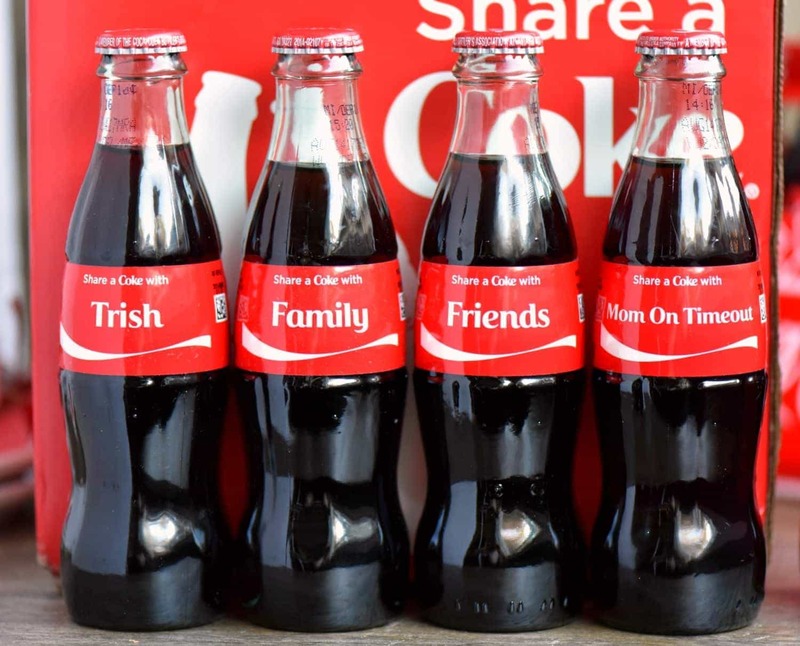 Have you heard of Coca-Cola’s #ShareaCoke program? This holiday season, Coca-Cola wants to shine the spotlight on those who make this time of year extra special for the people around them. People like my friend Ann. You can order special personalized #ShareaCoke glass bottles for loved ones this holiday season using this special discount code (Holiday40) just for my readers on ShareaCoke.com! 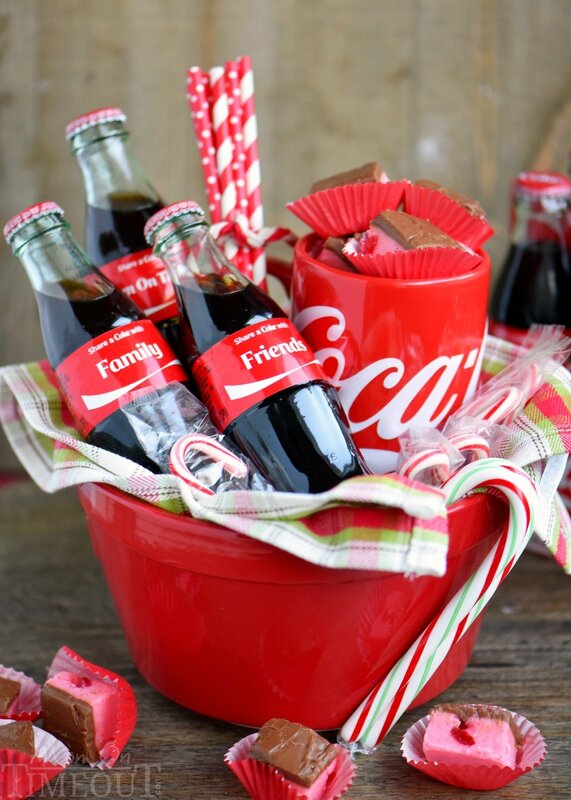 Make the season extra special and personalized with these fun Coca-Cola bottles! There’s more! Share the story of an “unsung hero” in your life in the comments below for a chance to win a #ShareaCoke prize from Coca-Cola. I want to hear about who makes your holiday season brighter! 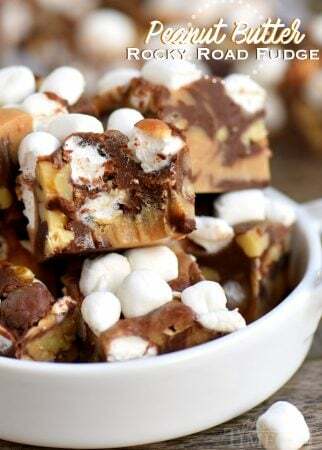 The great thing about this recipe is it’s made in a 9×13 baking dish so you’re going to have a TON of fudge! Great for sharing with friends and family this holiday season! 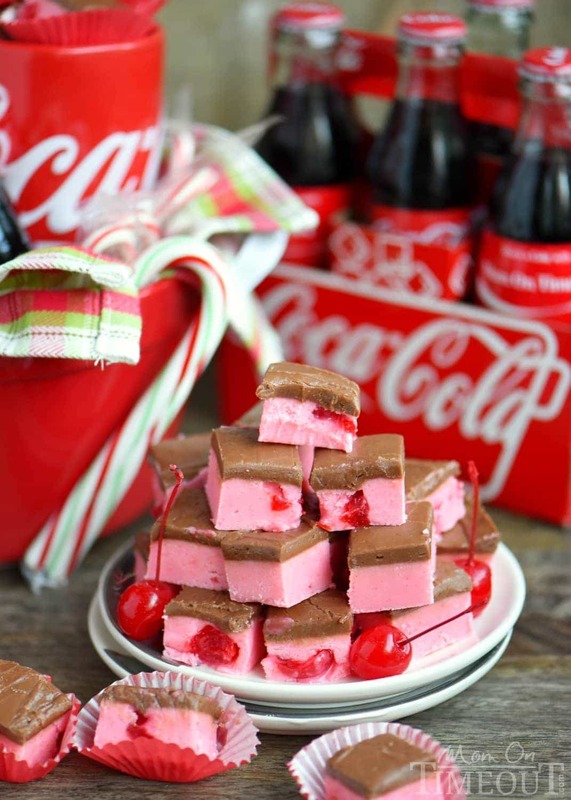 Because we can... Cherry Coke Fudge! A decadent cherry fudge topped with a Coca-Cola chocolate frosting! 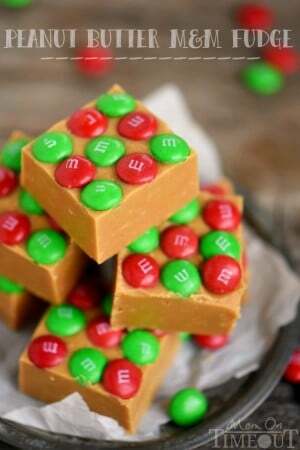 This irresistible fudge is sure to be a hit this holiday season! Cut the cherries into quarters. Pat with a paper towel over and over again to remove as much moisture as possible. Continuing patting with a paper towel until there isn't any more moisture. Set aside. Line a 9x13 baking dish with non-stick foil. Set aside. Combine butter, sugar, and heavy cream in a heavy bottomed saucepan. Once at a full boil, continue boiling for 3 minutes, stirring continuously. Add cherry gelatin and stir continuously, boiling for another 2 to 3 minutes or until gelatin is completely dissolved. Stir in marshmallow creme and cherry or vanilla extract. Fold in dry maraschino cherries. Pour into prepared pan and let cool to room temperature and then refrigerate. Place powdered sugar in a heat-proof bowl and set aside. In a small saucepan, combine the butter, unsweetened cocoa, and Coca-Cola over medium heat. Bring just to a boil and pour over powdered sugar. Whisk until combined and smooth. Add vanilla extract and continue whisking or stirring to combine. Immediately pour over chilled fudge. 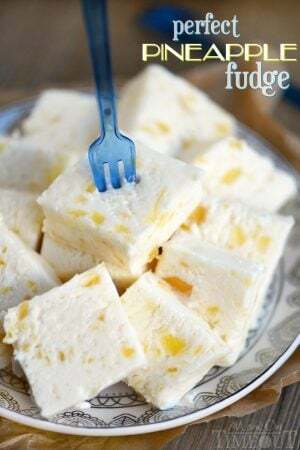 Use an offset spatula to gently spread the frosting over the top of the fudge. Chill for 20 minutes or until frosting has set. Disclosure: Coca-Cola has provided me with the products used within this project. I was compensated for this blog post. Thank you for supporting the brands that make Mom On Timeout possible! *The prize was provided by The Coca-Cola Company. The Coca-Cola Company is not a sponsor, administrator or connected in any other way with this campaign. I didn’t know where else to comment about the coca cola fudge recipe. I started making this last night and let the cherry “fudge” chill over night. This morning I made the chocolate frosting and chilled 20 minutes. The chocolate hardened as expected but the cherry is still runny. It’s not hardening at all. What could I have done wrong? Shouldn’t be runny at all. Either your fudge didn’t boil long enough or your cherries were wet. It doesn’t take very long to set up. My unsung hero is my boyfriend. Bill is a police officer who has been with the same dept for 24yrs. His normal work week is 4days/ 10hr shifts. However, he has been putting in 5-6 day work weeks of 60-70 plus hrs. He also puts in alot of research to make recommendations to make it safer for fellow officers. He has also spent thousands of his own money to buy safety gear and other items to make his job safer. My daughter is my hero. For the past year now she’s been dealing with depression, eating disorders, anxiety, self harming, and other issues due to treatment when she lived with her father. Despite everything and only weighing 68 pounds a year ago (mind you she just turned 17 this past October) she’s doing amazing ?. She’s come from such a darkness to overcome unbeatable odds and is now a sophomore in high school, takes dance lessons, is in choir, and weighs close to 100 pounds. I thank god every day that he’s blessed me with such a strong amazing daughter that’s totally giving and loving and is just a pure joy to all that meets her! My family makes the holiday brighter. This year I am going to spend the first part with my two grandkids, and kids definitley add cheer to holidays. Then, I will be watching Christmas movies with my husband and daughter. They are all amazing and really add to my holidays and life. Like most people, I would definitely say my mom is an unsung hero. As a mother now, I can see how much my own mother sacrificed for us without complaint while I was growing up. It’s clear that even now, my brother and I and our kids all come before her. She doesn’t live near either of us, but she give so much to us of her heart. She sends packages each month to the kids just to hear them squeal when they open them. She flies out to watch them as often as she can. My mother has never asked for anything but love and is so frustrating to give gifts to. How do you show the immeasurable love you have for your mom?!!? I wish I could buy the house next door and have her live there. My unsung hero is my daughter-in-law. In 2003 my son married this wonderful girl who also had the most adorable daughter who was 2 yrs old. My son has loved this girl who was his best friend since he was 14 yrs old. This girl was his best friend for years. When my son told me that this girl was pregnant at the age of 20 the first question I asked him is if the baby was his. He said no but I would lie and say the baby was his. Well, after the baby was born and they started dating officially that baby did become his daughter. After they married they did have a baby boy born in 2004. Life was good. She became our daughter. In 2006 our son was diagnosed with a brain tumor (containing 3 different cancers) and he we all lost him 6 wks after the diagnosis. My daughter-in-law refused to leave his side any minute of his last days. She did everything for my son. He loved her so much! She has made sure she is still in all of our lives and that we get to see our grandchildren whenever we want. She sitll misses my son every minute of the day but is strong for our grandchildren and for us.